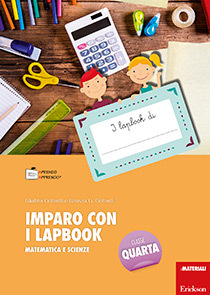 The lapbook is a dynamic and creative collection of materials which falls under the scope of «learning by doing», where pupils remain at the centre of their own learning. It involves making little card folders of different shapes and sizes, which can be used to hold all items (drawings, photographs, short descriptions etc.) relating to a particular topic. This book, the practical accompaniment to the suggestions contained in My first lapbook, is devoted specifically to learning several classic topics from the Italian language, history and geography curriculum for primary year five. 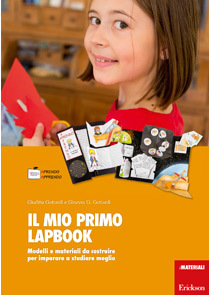 It contains all the instructions and materials needed for children to independently create 5 different kinds of lapbooks on the main topics of the Italian, history and geography curriculum. A lapbook is a dynamic, creative collection of content. It is made out of folders, which can be of various sizes, according to intended use and necessity. It contains minibooks or templates which hold essential and specific information regarding a chosen topic. The ultimate aim is to create a three-dimensional, interactive map of what you have studied and learnt, through a practical and personalised project. 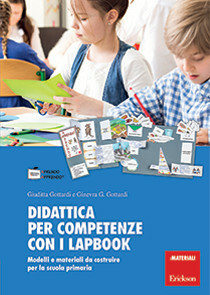 “Teaching Competences with Lapbooks” proposes an original interdisciplinary didactic program aimed at primary school children making use of lapbooks as a tool, or rather three-dimensional concept maps to build, that summarize a topic in a creative and dynamic way. This book, the practical accompaniment to the suggestions contained in My first lapbook, is devoted specifically to learning several classic topics from the maths and science curriculum for primary year three. It contains all the instructions and materials needed for children to independently create 3 different kinds of lapbooks on The four operations, The units of measurement and From nucleus to exosphere. 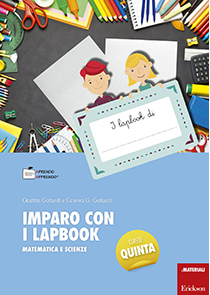 This book, the practical accompaniment to the suggestions contained in My first lapbook, is devoted specifically to learning several classic topics from the Italian language, history and geography for primary year three. It contains all the instructions and materials needed for children to independently create 4 different kinds of lapbooks on Fables, Minimal phrases, From the Big Bang to Man and Climate and environments. 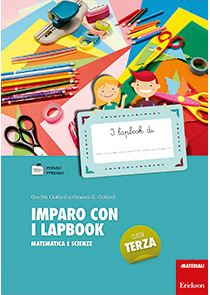 This book contains all the instructions and materials needed for children to independently create 3 different kinds of lapbooks on the main topics of the Maths and Science curriculum for primary year four. Here are the topics of the lapbook: fractions, Euros, living beings. 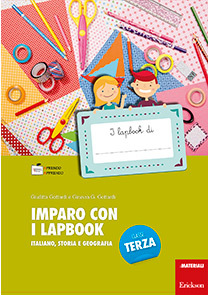 This book contains all the instructions and materials needed for children to independently create 4 different kinds of lapbooks on the main topics of the Italian, History and Geography curriculum for primary year four. Here are the topics of the lapbook: literary genres; types of text; the Ancient Egyptians; orientation and geographical maps. This book contains all the instructions and materials needed for children to independently create 3 different kinds of lapbooks on the main topics of the Maths and Science curriculum for primary year five. Here are the topics of the lapbook: • Mathematics rules, Geometry, Energy sources. 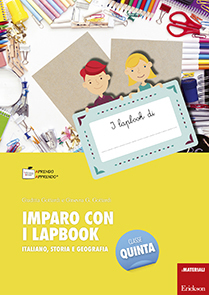 This book contains all the instructions and materials needed for children to independently create 5 different kinds of lapbooks on the main topics of the Italian, History and Geography curriculum for primary year five. Here are the topics of the lapbook: Grammatical analysis, Logical analysis, Greek gods and heroes, The Romans, Italy. Lapbooks are dynamic, engaging tools, which can be considered three-dimensional conceptual maps to be made as you tackle topics during lessons or as tools for summarising a topic once it has been completed. Lapbooks become notebooks (for storing notes), text books (for in-depth analysis and information) and assessment tools, with which a wide range of skills can be assessed: research, planning, summarising, graphics etc. It is important that teachers teach pupils how to create lapbooks instead of simply providing them with pre-designed cut and stick models: giving pupils a ready-made tool reduces its value. 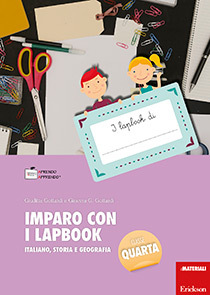 The programme introducing the use of the lapbook must be extensive and contain, after an initial approach, a phase in which pupils learn to analyse what they know and what they need to study more in depth, to plan, to choose templates, to summarise contents independently and in their own words and to choose pictures, colours and fonts. In order to create a lapbook we have provided a design worksheet, which helps the person involved in this phase (the teacher, student or parent) to follow the steps in the right order. The lapbook design worksheet allows you to plan activities without skipping any steps, helping you to focus your attention on the essential parts of the project. 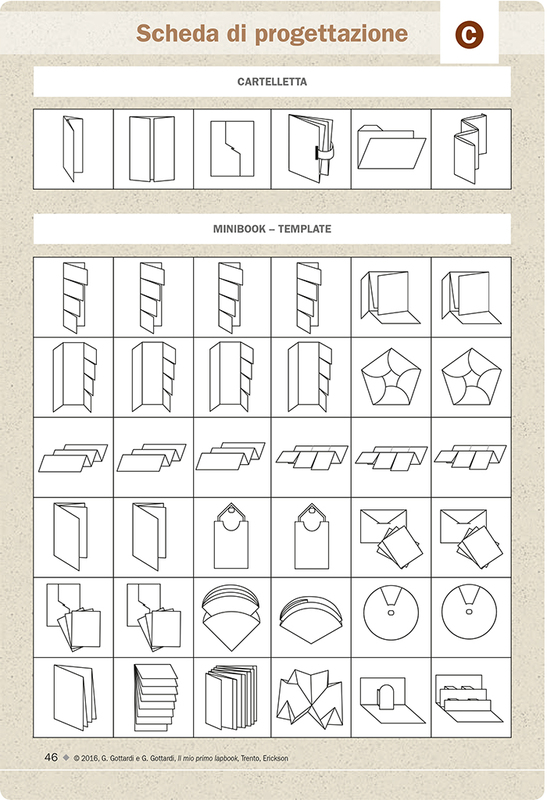 Let's look at how the lapbook design worksheet is set out and how to use it. Worksheet A has a space at the top where you can write the lapbook's title, topic and author and a table at the bottom where you can note the type of folders chosen and all the information needed for the first three minibooks. You can stick pictures of the type of template you plan to use as a reminder in the column on the right (cutting out the picture from worksheet C) and note down the reference of the page containing the template you are going to copy or photocopy. 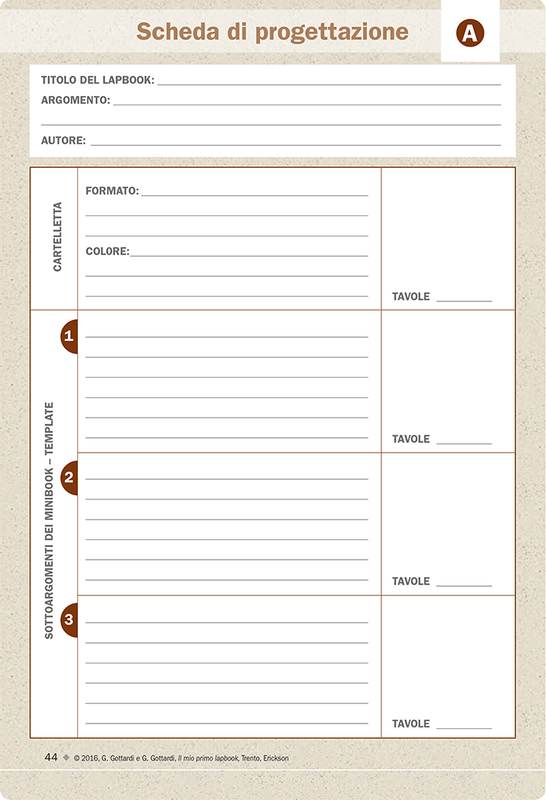 Worksheet B has a space a the top where you can write the title of the lapbook and author's name and four spaces where you can make a note of the topics and templates of the other minibooks you are going to make. 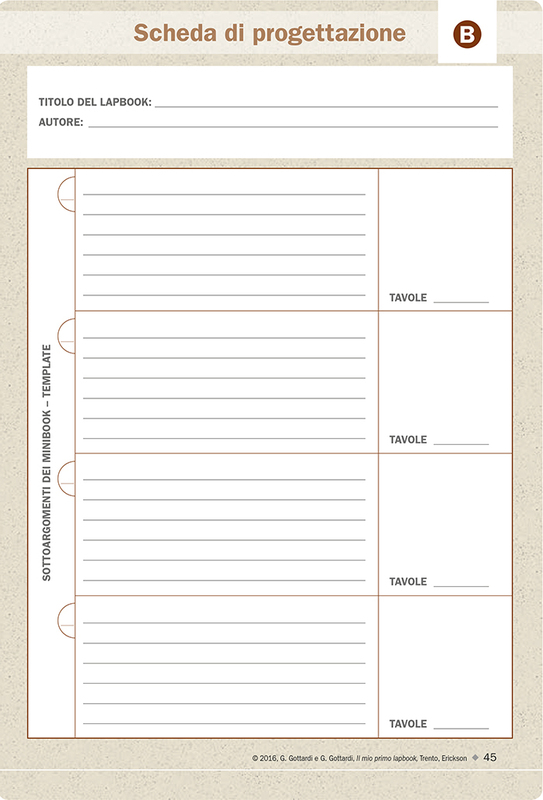 Should you need more templates, simply print more copies of this worksheet. Worksheet C contains multiple copies of the template icons used in the book. You'll need to photocopy this page so you can then cut out the icons and stick them in the third column of worksheets A and B, in order to have a illustrated reminder of what you are going to make. Why make lapbooks at school? cooperation and inclusion: lapbooks are well-suited to cooperative group teaching, because pupils develop the critical abilities needed to make lapbooks more easily through dialogues with their peers.